There are few photographs of Davis Bottom in the archives of public libraries and academic institutions. 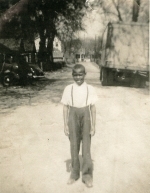 Fortunately, residents donated over 100 photographs from their family collections during a special History Day held at Nathaniel United Methodist Mission on August 30, 2011. 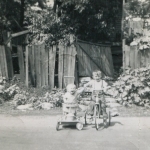 The Davis Bottom Family Photographic Collection includes portraits of residents and rare snapshots of daily life from the 1910s to the 2000s. Contributing residents received digital copies of their photographs on CDs. 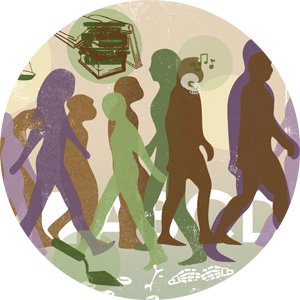 Donors retains full copyright, but they have generously provided the images to the collection for research and educational purposes. For more information, contact David Pollack, Director, Kentucky Archaeological Survey, (859) 257-5173,david.pollack@uky.edu. Click on the name below for a PDF guide to each family collection. 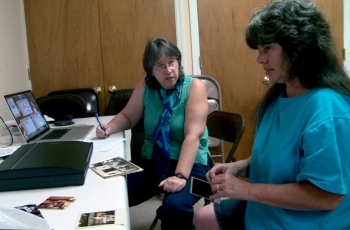 Figure 1: Resident Kathy (Lambert) Storie (right) works with Dr. Kim McBride, Kentucky Archaeological Survey, as they scan and document family photographs for the Davis Bottom History Preservation Project.